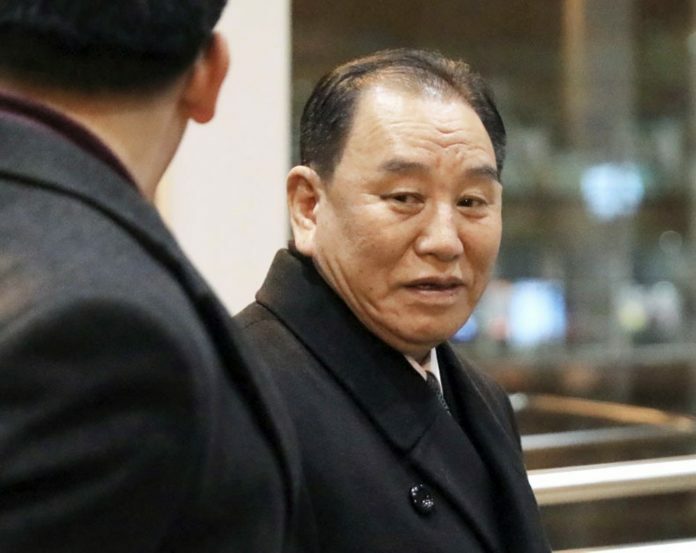 Kim Yong Chol, a former spy chief, arrived at Beijing’s airport and was booked to leave on a flight for Washington with two other North Korean officials later in the day, South Korea’s Yonhap news agency said. Neither the U.S. nor North Korea has announced any meetings. Kim Yong Chol has been holding talks with U.S. Secretary of State Mike Pompeo on North Korea’s nuclear weapons program and related issues. A planned meeting between the two in New York last November was called off abruptly. U.S. officials said at the time that North Korea had canceled the talks. Trump and Kim Jong Un met in Singapore in June, but little progress has been made since then toward America’s goal of getting North Korea to abandon its nuclear weapons. North Korea is seeking a lifting of economic sanctions and guarantees of its security. Kim expressed frustration in an annual New Year’s address over the lack of progress in negotiations. On a visit to Beijing last week, he said North Korea would pursue a second summit “to achieve results that will be welcomed by the international community,” according to China’s official Xinhua News Agency. Previous articleRamat Givat Zeev is expanding and now features 40 additional housing units.